The Flashlight Search Marketing team are big fans of blog and article share. This week we would like to share with you an article we read over at The Next Web website . 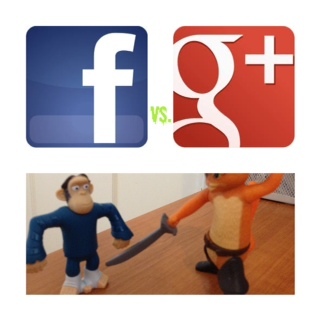 The article discusses 'When, why, and how Facebook will take on Google in search'. "Facebook and Google have been on a collision course for years, and their competitiveness has only increased with the release of Google+ just 14 months ago. As the service becomes more and more popular, one has to wonder how Facebook feels about the search giant encroaching on its turf. More importantly, one also has to wonder if Facebook has plans to hit Google back where it hurts"
Continue reading here: It's inevitable: When, why, and how Facebook will take on Google in search at The Next Web. The idea of your search results being influenced by people in your network is what Google+ is all about. Facebook are simply doing the same. Or is it the other way round...? The Next Web article gives further reasons to set a Facebook page for your business. If you need any help with this, let Rocktime's Flashlight Search Marketing team know.